You are neither rich nor poor but you can create a home that your family will cherish for a lifetime. If your child doesn’t seem to go out and perform physical activities, or if his/her teacher says that he isn’t active when it comes to their physical education class. Then maybe it is time for you to take charge of that, go talk to your child. Go buy tickets to parks and etc. Make him/her have fun performing physical activities, and maybe you would be able to change his/her perspective on physical activity. Physical activity for children is a crucial part of their development as they grow up. There will always be times when kids will apply physical activity in their lives. They use physical activity when playing with their friends, when going on adventures, when biking, or doing any other sports activity. Good thing that schools have a physical education because the government knows that children need it. When kids have physical activities they earn a lot of benefits, benefits all about their health, physically and emotionally, especially when they perform physical activities with friends and family. Below are the benefits when kids perform physical activity. 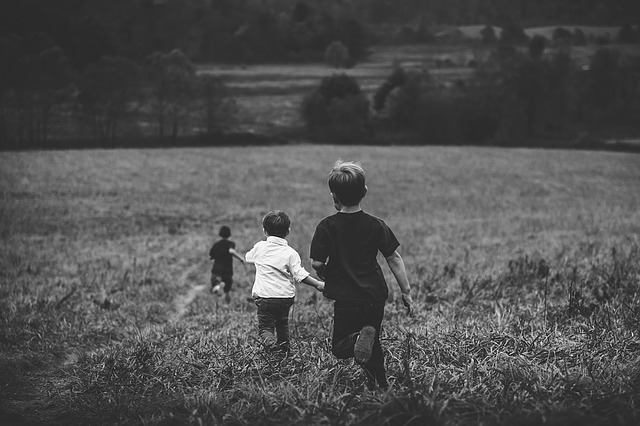 A study led by a group of psychologists discovered that a child who is active in physical activity tends to have more focusing skills than a child who is not physically active. A child becomes better in focusing when he/she is physically active, they tend to solve problems better and faster, they tend to understand problems better, and they tend to be organized in many aspects. As we all know, most children always have mood swings. And when a kid has mood swings it could really be annoying. If your kid always has mood swings, maybe it is time for you to provide them with some physical activities. A study shows that physical activities improve the moods of children, not only children but also as adults. When they perform physical activities, they are promoting a good health, and when they have a good health they will have a good mood. Now, mood swings would be avoided. One of the most common problems for children as they grow up is their posture. Some children don’t mind about how they sit, how they stan, how they sleep, or how they perform other activities. They don’t know that it might affect their body posture negatively. But if a child regularly performs physical activity, having a bad body posture would be avoided and instead, it will give the child a better posture. This is also another common problem among children, obesity. As what all we know, children love to eat, especially sweets. And sometimes children overeat, that’s why we should always keep an eye on them. A children’s weight grows faster than an adult, so whether they eat a little or eat a lot, body weight will still increase, and this makes them a common subject for obesity. But if the child is physically active at least an hour a day, he/she would be able to avoid obesity. Physical activity for children would control their weight. A study shows that a physically active child tends to receive more information than children who are not physically active. When a child is physically active, they will have a healthy body and mind, and when they have a healthy mind, all obstacles in their mind are deleted which would allow them to take more information and store it in their brain. Exposing your children in more extracurricular activities in their school, daycare center, indoor playground, and such – will allow them to improve themselves as a growing individual. Consider prioritizing their physical activities so they can get the most out of the benefits. Our home is where we feel secure, happy, and comfortable. But you never know that there are bad minds out there that could enter your home, vandalize it or do crimes in it. This doesn’t mean you can’t tough up your home and prevent these criminals and unwanted guests. Night time is when these bad guys do their work, but that doesn’t mean they don’t do it in the daytime, they do and there are many cases too. So suit up and get ready to keep your home safe as we provide you the ways to keep your home safe. Keep your expensive and valuable things or gadgets out of your front yard or backyard as it attracts burglars and intimidates them to get their hand on that item. Grills are the most common stolen items at homes since their commonly located in the homes yards. A grill with wheels will make the thieves work much easier. There is nothing wrong storing your grill inside your home or garage, it’s for the best. If you don’t have a closed garage, always make sure to lock your vehicle properly, and make sure to put in a well-lit area. These objects, tools, or materials can provide the intruder a tool to get inside your home easily, like when you leave a ladder in your backyard, the intruder can utilize it. Do some background checks on them to know if they don’t have any criminal record or so. Also, socialize with them so you can ask them a favor of watching your house when you’re out of town. If you see problems in the neighborhood regarding the people’s safety, speak to proper officials because it is your right. Common problems are the street lights if you see a street light not working, it is better to tell the association so they could run some solutions to it. Use curtains or blinds to prevent burglars seeing what items you have in your house, preventing them from making your home a subject or choice for burglary. You can also install curtains and blinds in your garage windows or basement windows. 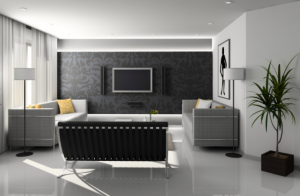 For a more high-tech feel, you can have some Home Automation installed in your home – like. motorized window shades installed in rooms, and in your own office. Do not forget to leave your fences, windows, and doors unlocked. It will surely cause your home to be a subject for burglary, even more, if visible to the eye of an intruder. So train yourself and everyone in the household to always make sure that everything is locked, especially when night. You should install a motion sensor lighting system for your home to easily detect burglars, and also alarm you. Having this would also scare burglars and making them have thoughts on entering your home. It is better to have knowledge than to just leave your home gadgets to do the work on keeping you safe. But what if the burglar enters and you don’t know how to fight. Enroll yourself and your kids in self-defense to ensure yourself if things go wrong. Not only self-defense but also security and safety techniques and strategies to apply to your home. Build an emergency doomsday room or bunker. If worst comes to worst that criminals have entered your home armed with weapons, it is better to have a secret bunker or hiding place with food, water, weapons, and medicine. Make sure the bunker is hard to find and access so the intruders won’t find you and your family. Also, make sure that your bunker has enough signal to make a call or a message. Earn a firearms license and be a responsible citizen, purchase a firearm so you could have a weapon in your home. Place the firearm always near to you, mostly beside your bed. Or purchase multiple firearms to ensure yourself of having a weapon when you’re stuck in a certain area. A simpler life makes you happier, and that’s that – especially when you’re still starting. Start appreciating the simple life and what it has to offer. Expecting too much, in so little time, will most likely leave you disappointed – which then leads to you losing your drive to work harder. Live below your means and know your realistic budget for your lifestyle.Prioritize the essentials and the luxury can wait for a later time until you’ve become financially stable. Know your current financial status, accept it, make a realistic budget, stick to it, and I repeat, live below your means. And, I mean, thinking of sources of income. You may put up a small start-up, have sidelines, sell a bunch of old stuff, and more! There are a lot of ways out there to earn extra cash – you just have to put in your efforts and stop complaining. The more you add income streams, the more you get nearer to becoming financially stable with the continuous flow of money from different directions. As much as possible, don’t allow your debts to grow increasingly high because of interest rates. Prioritize to pay off all your debts before spending on something that can wait more or is unnecessary. Allow yourself to be free from debts and open up more space and chances for saving money and eventually investing your savings. Whatever your financial goal is, consulting a professional financial planner will help you a lot and make your goals reachable. They can give you advice in every aspect of finances – savings, budgeting, using your resources, investing, planning for a better future, and to be financially secured. Be amazed with what you’ll learn in the little time you’ll be talking and working with them. Set yourself for the road to financial stability! Following these ways and taking baby steps will help you achieve this. Put in all your effort, patience, and hard work – and you’ll surely get what you want in time! It is such a nightmare when we see unwelcome pests around our kitchen and near our food. Who would know where they came from and where they have crawled? Some pests are also known to carry germs and diseases. There may be roaches, fruit flies, rodents, weevils and many more kinds – crawling around our food, spreading bacteria and contaminating food in a “sacred” space in the home. Homeowners should always be on the lookout for this pests. That’s why we listed some tips that you could apply to keep these pests away from your kitchen pantry, as much as possible. 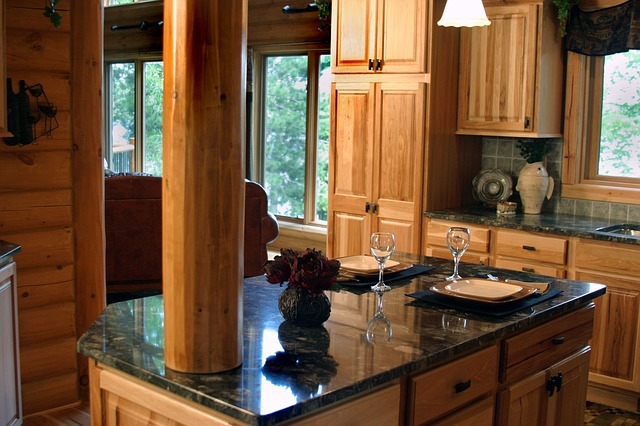 Prioritize the cleanliness of your home, especially where the food is! I cannot stress this enough. Start with this and it will make a drastic change in keeping pests away. How will pests reach their target (food) when they can’t get it, right? Invest in insect-resistant containers, such as thick plastic and metal containers with a tightly fitted lid. Always stock up on airtight containers. Pests are attracted to food spillage, crumbs, loose foods and open garbage – it’s like you are serving them food by leaving them in the open area, free to infest on. Immediately wipe countertops, tables, floors, and shelves. Garbages should also be sealed properly and thrown out regularly. Watch out for cracks and crevices around the kitchen area where pests may use as an entry point.Be sure to seal them immediately. Drains in the sink aren’t exempted – especially when a drain is clogged or filled with filth, it can actually attract insects of sorts and they may even live there. Good thing we can avoid clogging our drain and lessen the attraction our kitchen gives to pests. These leaves can work some magic among pests because of its pungent smell which the insects hate. You can add these leaves in a canister and packages of dry goods like rice, flour, and other grains. Be a smart shopper and always look at the packages of the items you’re buying.Make sure there are no signs of damages. Some grocery items tend to be infested on upon purchase. You definitely don’t want to bring these pests into your home and damage all the other goods. Another important pointer when shopping is to check the expiration date. When you see expired items, inform the clerks. Back at home, toss away any products that are past their expiration date or have been stored for a long period of time. 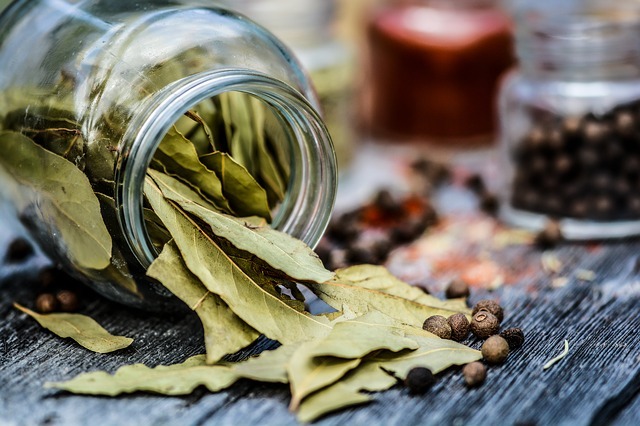 If you are currently dealing with pests infestation in your kitchen, or anywhere at all in your home, there are some DIY remedies you can do. But the best way to deal with them instantly and completely is to call a Professional Pest Exterminator for help. They would know the right methods and techniques to totally get rid of them. Quality exterminators also give advice to their clients regarding on what to do to prevent the infestation in the future. Lights are fairly used every single day and are essential in a household. A little magic of good lighting can make a big difference in a room – be it artificial or natural lighting, both can have a big impact on the look, feel and function of your home. 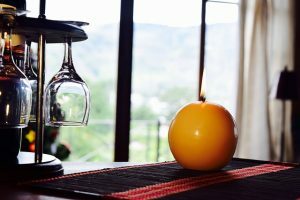 Make the most of your home with these simple and easy ways you can apply to improve the lighting of your home. Have natural lights and let the sunshine in! 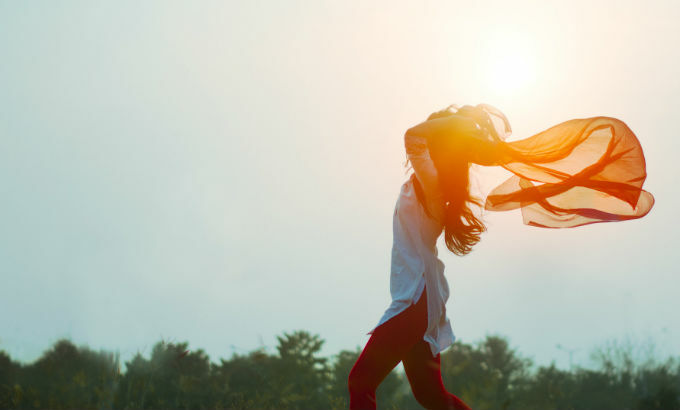 Sunlight is also known to be an antidote to depression and can easily uplift someone’s mood! All you need to add natural light are multiple windows and consider a glass door. Another bonus is that you can cut down on electric cost because then you will be less reliant on electrical lighting. Know first what kind of lighting you want and need. Some rooms can be brighter, like the bathrooms and laundry room, while some can have warmer lights like the living room and dining room. LED Bulbs having 2700K (Kelvin Temperature) have a warm yellow light and bulbs with 3000K are the white lights. For a warmer, comfy feeling, candle lights can exactly give your home that touch. It can also add to the relaxing vibe – bonus is scented candles that can give a soothing aroma in the room for a much better ambiance feel! 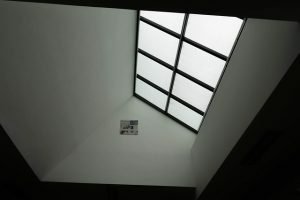 Pull in more natural light and save more on energy cost with skylights or “windows of the roof”. 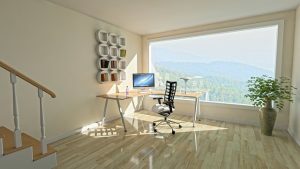 Having skylights can have various physical and psychological effect – not can it just bring a new life to the room, but it will definitely improve your health and mood making you happier! Having a mirror can reflect more light, bounce them around and give an impression of a bigger space. Consider also using glossy or eggshell finish which has a better ability to bounce lights, compared to flat matte finishes. Pendants are a great way for lighting and style. Just use your imagination and creativity with mixing and matching different pendants from different collections to come up with some unique look. First impressions last, that’s why consider wowing your guests right in your doorstep! Chandeliers can be installed in your entryway or any other lamp furniture that can be an accent and gets attention. 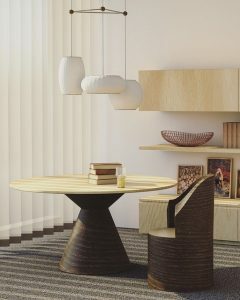 Having larger sculpture lamp or oversized pendants can definitely create an impression in the room. 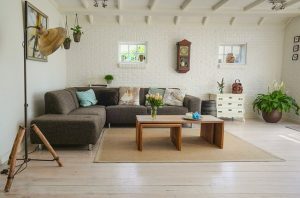 Just make sure it fits the room and other furniture, also make sure the size compliments the space of the room and doesn’t make the room look stuffy. Now, remember that lighting has a power to make or break an interior scheme. Make your home reflect more of your personality with the moods you’ll set up with your lighting. 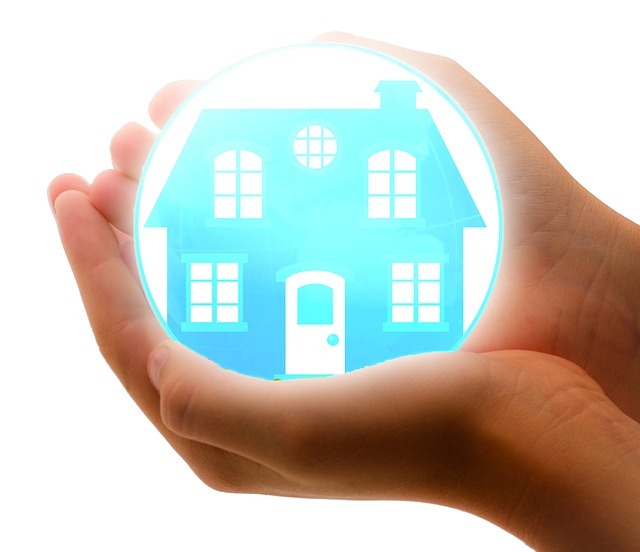 As homeowners, we should always ensure the safety of our Loved ones and ours as well. Owning a Garage Door means we have to maintain its safety condition – since it’s most likely the biggest moving object in our home and can pose a danger. Of course, doing maintenance on it will also help ensure both the Safety Condition and Maintain its Proper Function to operate Smoothly, Quietly and Safely. See to it if it moves Smoothly or Jerky. The Garage Door produces a lot of movement and vibrations which can cause some parts to loosen and some old rusty parts to break, especially when they are under extreme tension. Take a look at your Hinges and Rollers. Because of a lot of Movement and Vibrations, hardware can loosen especially when a Garage Door is used every single day – which most likely is happening. Be sure to examine and tighten the bolts, hinges, and roller brackets. Don’t forget about Parts that are in need of Lubrication! Remember that your Garage Door needs to be Greased Up. This will just take you about 10 minutes every year in exchange for added years of smooth operation of your Garage Door System. Use motor oil or spray lubricant on your Springs, and White Lithium Grease on you Opener’s Chain. Cables should always be in Good Optimal Condition because they are the main parts responsible for the actual opening and closing of the Heavy Garage Door. But don’t tinker with high spring tension cables on your own because it has enough force to bring you in danger and should only be handled by Professionals. What you can do is check for broken cable strands and other damages and be sure to ask help from a Professional Garage Door Technician if you find one. Auto Reverse System is your Garage Door’s Auto-Stop Feature. When the door detects an obstruction, it will automatically return to the open position. Test this by putting something below the center of the door and see to it that it reverses when it touches the obstruction. When it doesn’t work, immediately call a Professional Garage Door Service to fix it for you. The Emergency Release is the Red Handle hanging from a rope which allows you to manually control the Garage door and bring it up or down as you please. If it gets partially stuck, be sure to call a Professional and let them handle it for you. Kids may find it fun to ride on the Garage Door handle which exposes them to possible dangers. Teach children that the Garage Door isn’t a toy and ensure that they keep their hands and fingers away from the panels of the Garage Door. Garage Doors have different types of Materials. Knowing the material of your Door will give you an insight on how to maintain it. For Wood Doors, check for water damages, chips, and warps. Steels tend to develop rust spots so be sure to sand, prime and paint them. Also, keep your Garage Door clean regularly by washing it at the same time you wash your Car. Always ensure the Safe Operation of Your Garage Door and keep it maintained and clean regularly! If you need any help in keeping your Garage Door in smooth operation or if it needs a check-up, repair or tune-up, be sure to choose a reliable Professional Garage Door Service. Just like our favorite Company, Fort Lee Garage Doors, they will surely keep your Garage Doors in safe working order! These days, you won’t be able to find a household without a television set. This handy appliance provides endless hours of entertainment for you and your loved ones. And as our society continues to evolve, so does television sets. The current trend nowadays is to have a flat screen television. This innovation helps save a lot of space without sacrificing functionality or any of its features. As such, knowing how to properly mount a flat screen television on a wall will be quite useful for you. You won’t need to spend money to hire a professional handyman if you have this knowledge with you. For starters, you will need a drill, measuring tape, a pencil, a screwdriver, and some screws. To help prevent any accident from occurring, don’t forget to wear protective eye goggles and gloves. Plus, bring along a broom because your floors will be dirty once you have successfully mounted a flat screen television. First and foremost, take the television and its corresponding mounting brackets out of its packaging. Attach the aforementioned brackets on the back of your new television. This is done by tightening several screws that will connect the mounts to your TV. Make sure the mounts are securely attached to your television by nudging it a bit. Next, you need to find where the studs are located inside your wall. To accomplish this feat, you will need an electronic stud finder to help you out. As soon as you find these studs, mark their location using a pencil. You need to find these studs because they provide the necessary support to hold the mounting brackets and your flat screen television. After you have located the studs, take your drill and make some holes on your wall. Do keep in mind to use the corresponding drill bit that matches your mounting brackets’ screws. If you use the wrong drill bit, you won’t be able to mount your flat screen television and you’re going to damage the walls at the same time. Furthermore, don’t forget to protect your hands and eyes using protective gear to prevent any body part from sustaining an injury while you are accomplishing this particular step. Now that you have drilled several holes on your wall, take the other half of the mounting bracket. Test it first if all of its moving parts are intact and secure. Then, place it on the wall with drilled holes and drive the screws through them. Use a screwdriver to do this step and make sure you have a good grip on it. Pick up your flat screen TV carefully and mount it onto the brackets. Move it around to see if the mounts are tight and secure in their position. For the final step, clean up the mess caused by drilling on your wall. After you have done that, you can now enjoy using your new television. But if you need a home automation professional, click this line! Real Estate Brokers will tell you that if you want to sell your house there are some things that you should definitely do. It helps the broker, which does two things. First, it encourages the broker because he/she has an easier time. It’s only human nature. You don’t want a broker to dread showing your house. A well-prepared house sells itself. Second, it helps you maximize the return and speeds up the sale, both of which are in your interest. OK, so how do you prepare? First, you have to get rid of extraneous items. Most houses get cluttered after years of living in them. In fact, you get so used to having things around, you don’t see them any longer. Unconsciously, a buyer does not want to feel your presence. A buyer must be made to picture him/herself belonging to the house. Your stuff, which you love and are proud of, is a negative. Many houses are over-furnished. Get rid of excess furniture. Less furniture makes the rooms look bigger. If you can afford it, get a professional stage. They can do wonders for a house. After living in a house for years, you may lose the ability to think outside the furnishing box. 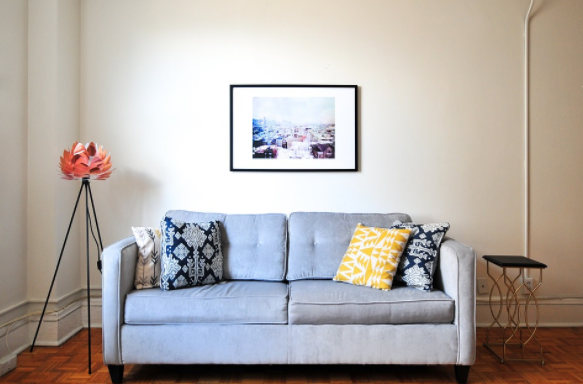 Staging a house will get it sold faster and get you a higher price. It’s a good investment. Also, stagers usually have a stock of classy items to fill in what you’re missing. Vases, pillows, conversation pieces are available with you having to buy them. The house should look as new as you can make it. If the house outside is landscaped see that everything is up to date, mowing, trimming etc. If it’s winter time. Make sure the walkways and driveway are plowed. This goes for the backyard and deck, too. It should look like it’s not a big deal. Inside, you want each room to look like a furniture showroom. IF the walls look mangy, freshen them up with a paint job where it needs it. Make sure everything functions. All appliances should work and be clean. Doors and windows should open and close without a problem. Light switches should all work and there should never, never be a missing bulb. The basement and attic should be clean and well organized. The garage should look like it could be a room inside the house. There is a tendency to clutter the basement and garage in order to make the house neat. That doesn’t work. The garage and basement indicate to a buyer, whether true or not, that the house it properly cared for. If you have to, get a storage place to keep the stuff until you move. When your house is ready, get a broker in to tell you what else you should do. They are usually very helpful. They know what buyers look at. And never be home when the house is being shown. And you certainly don’t want to be available to answer stupid questions if your broker sets up an open-house, don’t be there. Having a toilet bowl in your house is definitely a life-saver. Back before this handy plumbing fixture existed, people would go to great lengths to get rid of their waste. Nowadays, most people would take the functionality of a toilet bowl for granted. That’s why there will be times when your toilet bowl will malfunction and prevent the water inside of it from being flushed. Once this happens, you can expect your bathroom floor to be flooded with all sorts of waste in it. This is going to cause a lot of annoyance and trouble for everyone in your home. If you don’t want that unwanted scenario to happen, you better equip yourself with a plunger right away. Before you go ahead and learn how to use a plunger, you need to familiarize yourself with the main cause of toilet clogs. Most of the time, throwing any external items in your toilet bowl rather than the trash can cause a blockage. These items include tissue paper, tampons, and diapers, among others. If you are not that careful, plastic shampoo bottles or bars of soap can find their way into your toilet bowl. All of these items can get stuck in your toilet and block the flow of water. If you don’t want a flood inside your bathroom, you need to be vigilant in preventing these items from being thrown into your toilet bowl. Plus, you also need to remind everyone in your household to throw their respective trash into the proper container. 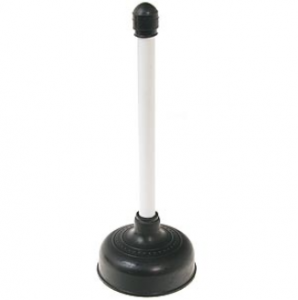 When you encounter a clog in your toilet, the best and simplest way to handle it is to use a plunger. Basically, this tool consists of a handle, flange, and the plunger itself. To use a toilet plunger, you need to have a firm grip on the handle and insert the other end using a 90-degree angle. Now, don’t exert all your effort into that first thrust. You need to go gentle because there will be some air inside the main compartment of the plunger. Using a hard thrust will push the item that’s clogging your toilet farther down your toilet’s drainage system. Once this happens, it will be impossible for your plunger to take the external item out of your toilet. After you have made the first thrust in a gentle manner, you can now exert more effort gradually. The air inside the plunger will act as a suction to attract the external item. The more you push on your toilet plunger, the item that caused the clog will slowly be sucked into this tool. Once it has entered the compartment of the plunger, carefully scoop it up. This should be done to prevent the clogging material from falling back into the toilet. Not having a plunger inside your bathroom will be detrimental to you when an item clogs your toilet. This particular bathroom tool is easy to procure and much easier to use. Do yourself a big favor and get one for your household today. If all all else fails call a great plumber. Today’s faucets are easy to install. You can even purchase a faucet that installs entirely from the top of the sink so you don’t have to crawl around. However, there are still a few things that can help you with a quick and leak-free installation. Use these tips to get started. One of the challenges of putting in a new faucet used to be connecting the supply lines without worrying about their leaking. However, the newer style of connectors has gaskets in each end that make the connections almost foolproof. They’re a little more expensive than the older style of connectors but they’re well worth the extra cost. You don’t even need to make sure that the nut is extremely tight for a good seal. Use your hands to make the connection finger-tight and then use a wrench for an additional half turn. Replacing your supply lines with stainless steel connectors is the best choice you’ll ever make. When you replace the faucet, you’re going to have tools and other parts that you’ll want to keep around. One of the best ways to make sure you don’t lose anything you might need is to put any extra parts, tools, and instruction sheet in a freezer bag and then hang the bag inside the sink cabinet. You’ll be able to find it if needed for any repairs. Whether you’re replacing the sink or you’ve hired a plumber to make the change, check for any leaks. After the sink is first installed, turn the water on and let it run for a few minutes. Then get a tissue and go under the sink. Use the tissue to wipe the joints and see if it stays dry. Even a small leak will show up as a wet spot. Tighten up the connection near any leaks that you find. This is something that you’ll want to do before getting started. 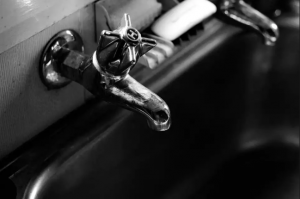 Before you replace a sink or do any repairs, it’s a good idea to turn off the water supply leading to the faucet. Most people forget this step, but it’s an important but simple one to do. You’ll be glad that you did! When you replace a sink today, they come with instructions and are fairly easy to do. These tips are just a few extra ways to make sure that you end up with a good replacement and avoid any leaks or problems along the way. Watch this video that will show you how to replace a faucet. We know that people from middle class families take home improvement seriously. This is the reason why we created this site – to give them tips on how to make their homes more livable. 361 E. 67th Street, 12th Fl. We are contractors and interior designers who want to help middle class people create their ideal homes. All topics in this site are written by us. If you want us to cover a certain topic, please let us know at webmaster@class-under.net.